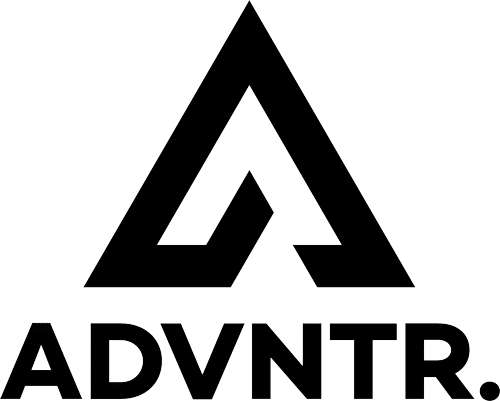 GORE WEAR GORE-TEX INFINIUM Gloves - ADVNTR. 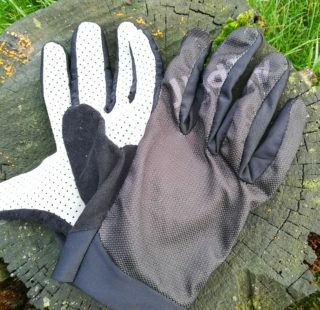 When it is too cold for summer mitts but not cold enough for thermal winter gloves, the Gore Wear Infinium Gloves hit the ‘Goldilocks’ spot. 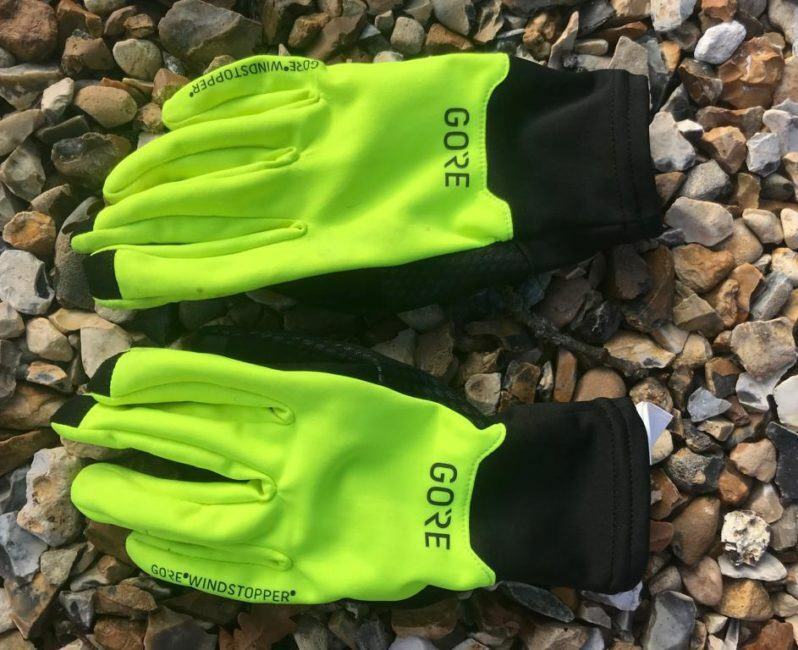 Previously called the “Gore WINDSTOPPER Glove”, the gloves combine Gore’s WINDSTOPPER fabric with a synthetic leather palm. 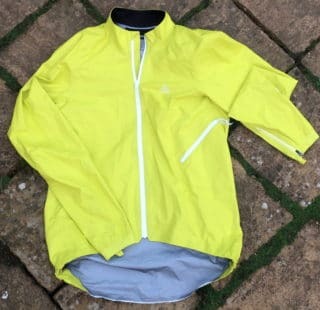 The wind resistant material gives plenty of protection from cold winds without being too bulky. The fabric is also water repellent. It will shrug off light rain showers, but soon wets out in a full-on deluge. There are no pads on the palm. Personally, I like this as I find some padded gloves create numb or ‘hot spots’. If you like padded gloves you might want to look elsewhere. 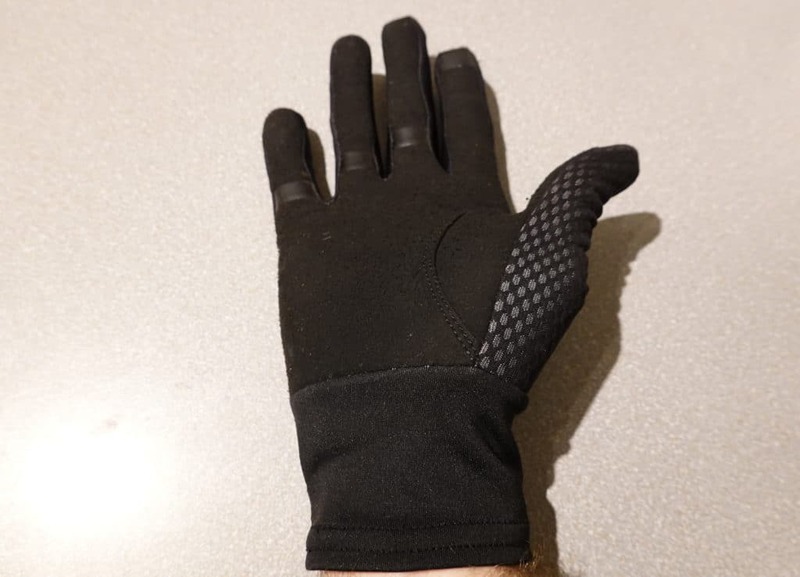 The palms are so thin they feel more like silk glove liners than cycling gloves. Grippy silicone prints on the fingers ensure your pinkies won’t slip off levers. Meanwhile, although Gore claim they are ‘touchscreen friendly’, I still had to take them off to get a response from my phone. The cuffs are elasticated but you can’t adjust them if you need to tweak the fit. It wasn’t a problem for me, but people with narrow wrists would probably welcome a velcro strap to make the fit a little more snug. The long cuffs are very welcome and ensure there are no cold spots where gloves meets the jersey sleeve. 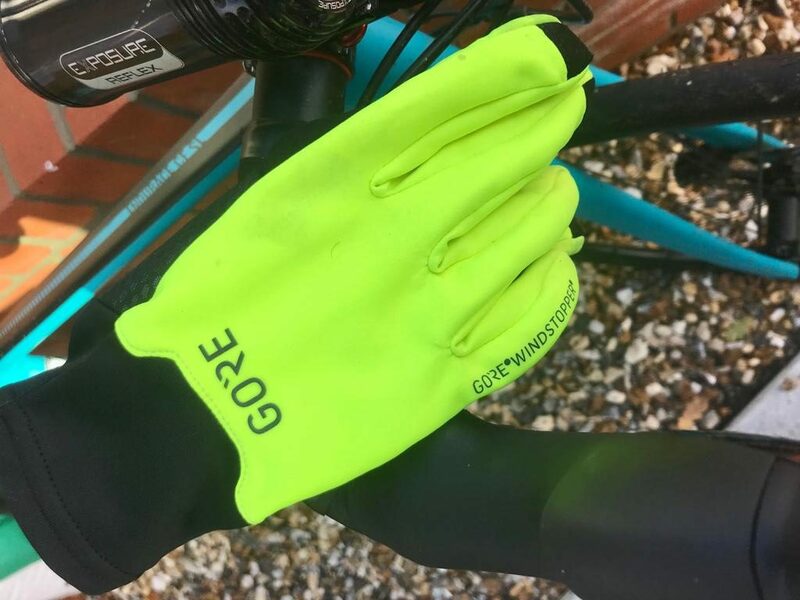 As with all Gore Wear products, the quality is excellent and even after several months the gloves look as good as new. 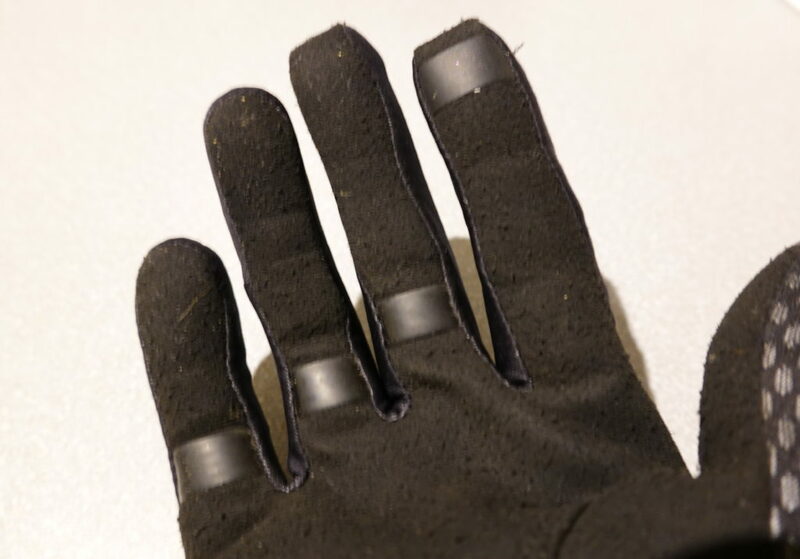 My experience of thin, full finger, gloves is that they usually start to come apart around the fingers. No such problems here. Gore themselves warn that their glove sizes normally come up a little smaller than you might expect. I’ve usually always chosen size large in gloves to allow for a margin of error. As usual, the fit was a little ‘close’ but, after a few weeks, they had stretched slightly and (excuse the pun) fit like a glove. 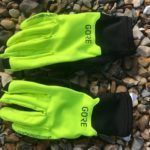 The Gore Wear Infinium Gloves are a great choice when the temperature is hovering around high single digit figures or low teens. 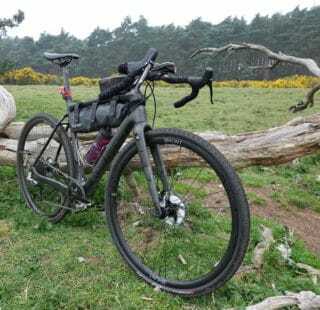 Even in the unexpectedly warm weather of the recent ‘Fake Spring’, moisture transition was so good that I did not suffer from sweaty hands. I don’t have the greatest circulation and suffer in the cold, even in thermal gloves. 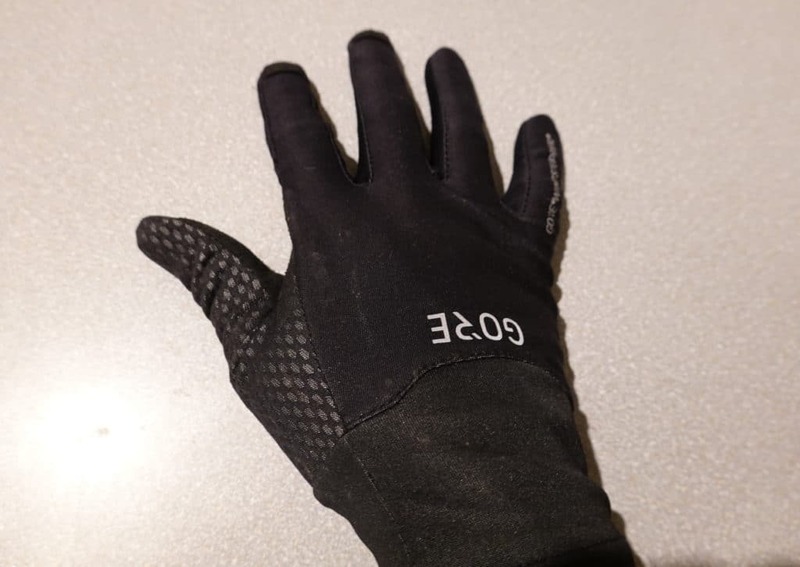 With these Gore gloves, I started to get uncomfortably cold around 6C. Gore Wear offer the Infinium in stealthy black and, retina burning, neon yellow options. The latter really do stand out on the road and certainly catch drivers attention when you need to make that all important signal to turn on the road. Both options feature reflective detailing and logos for night vision. Priced at £42.99, the Gore Wear Infinium are not the cheapest pair of gloves. They are very well made though and fill an important gap in your armament against the weather. If you want a thin pair of gloves to ward off the chill of cold winds, look no further. The total opposite to bulky gloves. Thin, minimal padding, virtually a second skin. You'll forget you are wearing them.